KROHNE has built the reputation of being a major player in the field of flow and level measurement technology. 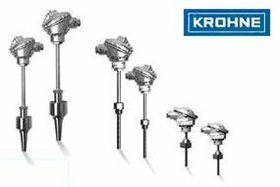 KROHNE is not only world leader in the field of variable area meters, it is also seen as an innovator in electromagnetic flow metering. KROHNE offers supporting products and services in industries as widespread as water, food and beverages, pharmaceuticals, (petro-)chemicals, mining and shipping.